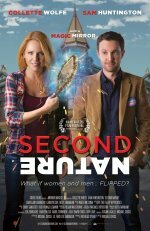 A magic mirror reverses the gender roles of a man and woman in a small town. Second Nature release date was Friday, September 8, 2017. This was a Limited in theaters release.